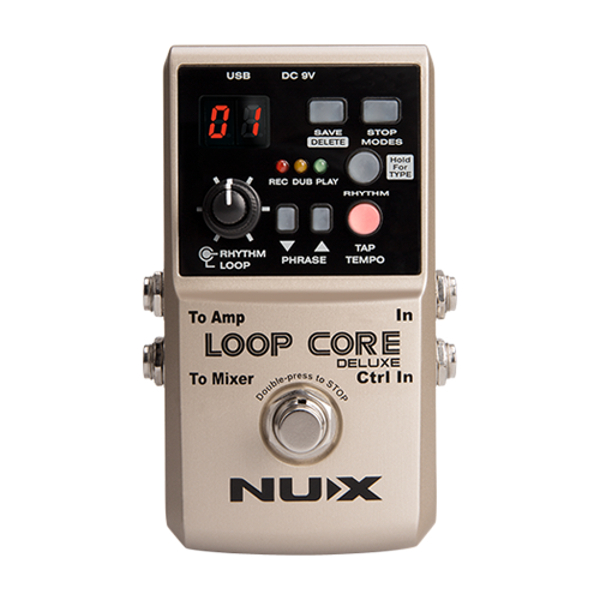 Nux Loop Core Deluxe Looper Pedal Bundle., Newark Musical Merchandise Co.
Hook your Loop Core Deluxe up to your PC/Mac with a Mini USB connector to import available loop phrases or to back up yours. Loop Core Deluxe is only compatible with 24-bit/44.1kHz WAV files. When using Loop Core Deluxe in this situation, it will detect the type of devices connected. The original guitar tone and loop phase will output to guitar amplifier while drum machine sound output to the mixer. To active this feature: please press down RHYTHM button before powering on the device and "F3" appears on the screen. Just hold down the STOP MODES Button while plug in the power adapter to switch in between the 2 bypass modes. You can convert any audio file to make it compatible for Loop Core Deluxe. You can download the Nux Audio Converter software free. 3. Click the "Start" button, converted file will be saved in the same folder. 4. Each bank has an independent folder in the pedals memory. 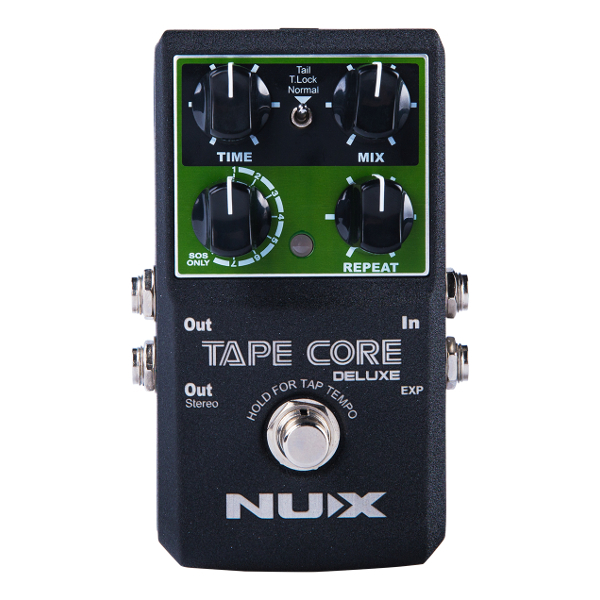 Rename the file to be the same as the folder name in the Loop Core Pedal.